We have the best deals in Radauti – just enter your dates and see! Book all Radauti hotel rooms at the lowest possible price. 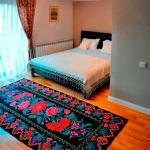 Looking for hotel deals in Radauti? Great accommodation is so easy to find with HotelGuides.ro! You may choose from a wide selection of Radauti hotels and make your reservation right now. No matter if you're looking for your hotel by price, location or star rating, HotelGuides.ro offers all the information you need to choose the best Radauti hotel for your travel needs, either leisure or business. It's so easy to find and book Radauti hotels. Just search for the perfect accommodation and make your Radauti hotel reservation today. 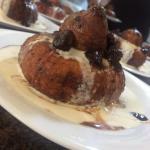 Interested in a Radauti center hotel? Check and book today starting from ! 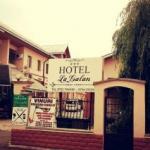 Located in Rădăuţi, Hostel „La Galan” offers 3-star accommodation with a terrace and a bar. Boasting a 24-hour front desk, this property also provides guests with a restaurant. 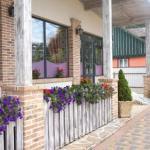 Both free WiFi and private parking are accessible at this property.The rooms in Hostel „La Galan” are fitted with a TV. Every room includes a private bathroom with a shower.A Full English/Irish breakfast can be enjoyed at the property.You can play table tennis at Hostel „La Galan”.Chernivtsi is 49 km from Hostel „La Galan”. The nearest airport is Suceava International Airport, 37 km from Hostel „La Galan”. Located in the centre of Rădăuţi, the stylish Hotel Galany is found in an historic building. Free WiFi is available throughout the property.A flat-screen cable TV, a minibar and a safe are standard in all rooms at the Galany hotel. Each unit contains an en-suite bathroom, provided with bathrobes. All rooms are air-conditioned.This accommodation offers a restaurant and a café bar.Hotel Galany’s reception is opened 24 hours. A car hire, a bicycle rental and a shuttle service can be arranged there. Other on-site services include massage treatments, available for an additional cost.Free private parking is possible on site. The train station is within 900 metres, and the airport in Suceava is reachable in 35 km. Sucevita Monastery is located 18 km away. Hotel Maria is offering accommodation in Rădăuţi. This 3-star hotel offers a 24-hour front desk. Free WiFi is featured.Chernivtsi is 49 km from the hotel, while Gura Humorului is 32 km from the property. The nearest airport is Suceava International Airport, 37 km from Hotel Maria. Offering a restaurant, Casa Vatra Radauti is located in Radauti, only 600 metres away from the city centre. Free WiFi access is available on site, as well as free public parking.All parquet floored units feature a flat-screen TV with cable channels and a desk. Bathrooms come with a shower and free toiletries.At Casa Vatra Radauti guests will find a bar. In addition, packed lunches, special diet menus and grocery deliveries are available upon request.The property is located 300 metres away from the nearest shop and 30 metres away from the closest bus station. Suceava airport is reachable within 45 km. Situated in the small town of Radauti in the Bukovina region, Pension Hotel Fast offers simply-furnished rooms with free Wi-Fi in a traditional style guest house.All of the air-conditioned rooms at Pension Fast include a flat-screen TV with cable channels, as well as a refrigerator.The hotel restaurant serves a range of both regional Romanian cuisine and International dishes. Guests can dine in the intimate dining room or enjoy a drink outside on the shaded terrace.The Zoological Gardens in Radauti are 200 metres from the hotel and the Bogdana Monastery is only 15 minutes’ walk away. Fast Hotel is a 45-minute drive from the town of Suceava. Suceava Airport is 37 km away.Free private parking is available on site. Guests can also make use of the car rental service. Hostel Harmonie offers accommodation in Rădăuţi. Free private parking is available on site.All rooms here feature a private bathroom, slippers and free toiletries. Hostel Harmonie features free WiFi throughout the property. A flat-screen TV with cable channels is available.This property features an à la carte restaurant, where you can have breakfast, lunch and dinner, as well as a coffee shop. The staff is available 24 hours per day at the reception desk.Putna is 35 km from Hostel Harmonie, while Gura Humorului is 34 km away. Featuring free WiFi, Motel Monte Carlo is situated in Rădăuţi. Boasting a 24-hour front desk, this property also provides guests with a barbecue. Guests can grab a bite to eat in the in-house restaurant or relax in the bar.Guest rooms in the motel are equipped with a TV. Rooms are complete with a private bathroom, while certain units at Motel Monte Carlo also offer a balcony. All units will provide guests with a fridge.A continental, à la carte or Full English/Irish breakfast is available each morning at the property.The accommodation offers a terrace.Gura Humorului is 31 km from Motel Monte Carlo, while Suceava is 31 km from the property. Suceava International Airport is 35 km away. Located 2 km from Radauti, Hotel Intim provides a restaurant serving both Romanian and international dishes and a selection of local wines. A swimming pool and a patio with deck chairs are available for all guests.Rooms at the Intim offer a TV, a phone and a work desk. Wi-Fi is free of charge in the entire hotel.A spacious gym hall with a ping-pong table is a part of the hotel. Guests can enjoy free modern dance classes or aerobics, or play a game of football.The large summer garden houses a gazebo and a children’s swing, while barbecue facilities and serving tables are available for all guests.The town Zoo is 1 km away, while the Ethnographic Museum can be reached within 2 km. The Radauti train station is 1 km away. The Intim Hotel can arrange pick-up service upon request. Pension Hanul Voievozilor is situated in Horodnic de Sus in the region of Bucovina, 4 km from Radauti and 44 km from Suceava. It offers traditionally furnished accommodation with free Wi-Fi.The guesthouse features a restaurant serving local specialities, a terrace and an inner courtyard.Close to the Hanul Voievozilor you can go hiking or cycling in the Hardic Forest. In the wintertime you can take part in a sleigh ride. The Frontier Hotel in Siret provides accommodation with a fitness centre and a terrace. This 3-star hotel has air-conditioned rooms with a private bathroom. Pizza, Irish and British dishes are served at the in-house restaurant.Guest rooms in the hotel are equipped with a flat-screen TV with cable channels. Free WiFi is accessible to all guests, while selected rooms come with a balcony. All guest rooms include a desk.Continental and à la carte breakfast options are available every morning at The Frontier Hotel.Guests can make use of the sauna.Languages spoken at the reception include English and Romanian.Chernivtsi is 39 km from the accommodation, while Gura Humorului is 45 km from the property. The nearest airport is Suceava International Airport, 36 km from the property. Situated on a former sawmill outside Sucevita, Complex Turistic Forest Ecvestru features a stud with sports horses and ponies and horseback riding facilities, as well as an à-la-carte restaurant with a summer terrace.Located in 3 buildings on the complex, all rooms come with free Wi-Fi and cable TV. Each accommodation unit also comprises a private bathroom provided with bathrobes, slippers and hairdryer.Additional on-site facilities include a bar, a games room, and a children’s playground. The reception is opened around the clock. Shuttle services are offered at an additional cost. A fully-equipped conference room is also available for guests.Complex Turistic Forest Ecvestru is 4 km from Sucevita Monastery and 15 km from Bogdana Monastery. Putna Monastery and Moldoviţa Monastery are reachable within 40 km. Salcea Airport in Suceava is 60 km away. Surrounded by a large garden, Pensiunea Ana Maria is quietly located in Solca, 29 km away from the centre of Gura Humorului. The region is famous for its salty air due to the Salt Mountains, which are situated nearby. 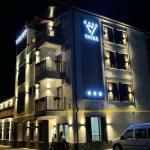 The Cacica Salt Mine is 5 km away.The rooms feature cable TV, a bathroom with a hairdryer and free toiletries. Some of the rooms boast a balcony with mountain views. Free WiFi access is available in all rooms.On request, breakfast is available each morning at the Ana Maria Pensiunea. At a surcharge, guests can also have additional meals cooked by the owner. The closest grocery shop is 200 metres away.The well-groomed garden features barbecue facilities, which can be used free of charge. A shared lounge is at guests` disposal. Free private parking is possible on site.The Voronet Monastery and the Humor Monastery are located 25 km away. The Sucevita Monastery and the Putna Monastery are both within 45 km from the property. Gura Humorului is 25 km away. Offering a restaurant and a bar, Pensiunea Fagilor is located in Suceviţa, 6 km from the ski slopes and less than 3 km from the Sucevita Monastery. Free Wi-Fi access is available in the entire property.Rooms are fitted with a flat-screen cable TV, and a private bathroom with a bath or a shower, a hairdryer and free toiletries. Some units are also fitted with a balcony, and most have mountain views.At Pensiunea Fagilor, guests will find a 24-hour front desk, a garden and an orchard. Other facilities offered include a children`s playground.Free parking is available on site. The guest house is 6 km from the ceramics workshops in Marginea and 16 km from the Bogdana Monastery. Sucevita’s Cristal Villas have 2 storeys, a balcony, patio and 2 bathrooms. A fully-equipped kitchen, dining area and living room are on the ground floor, whilst 3 bedrooms are on the first.The villas’ living rooms have an open stone fireplace and cable TV. Rustic furnishings and solid wood furniture are characteristic features of the accommodation.Cristal Villas are located across from each other and enjoy quiet surroundings at the edge of a forest. Breakfast can be enjoyed at a partner accommodation a 6-minute walk away.The large garden has a terrace, children’s playground and barbecue facilities. Private parking is available on site free of charge.Sucevita Monastery is just 1.5 km away. Restaurants, shops and cafes can be visited in Sucevita village centre, which is the same distance away. Radauti can be reached by car in 20 minutes. Set 1.6 km from Suceviţa Monastery, Pensiunea Casa Dulce Casa is a guest house in Suceviţa that features barbecue facilities. 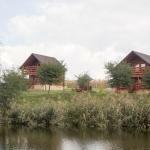 Each accommodation at the guest house has river views, and guests can enjoy access to a children`s playground. Free WiFi is available.Guest rooms in the guest house are equipped with a TV. Each room includes a private bathroom, while some rooms include a garden view. The units will provide guests with a microwave.Suceava International Airport is 48 km from the property. Located in Suceviţa, 3.4 km from Suceviţa Monastery, Casa Vasile Bujanovschi offers accommodation with free WiFi.All units at the homestay come with a microwave, toaster, a coffee machine, a fridge and kettle. A terrace with garden views is offered in every unit.Casa Vasile Bujanovschi offers a barbecue.If you would like to discover the area, fishing is possible in the surroundings.The nearest airport is Suceava International Airport, 49 km from the accommodation. Pensiunea Agroturistica Cristal is located in Suceviţa’s centre, in the historical region of Bucovina, and offers rooms with an en suite bathroom and traditional carved-wood furniture. Wi-Fi is free of charge. 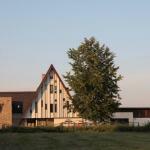 Sucevita Monastery is 1.2 km away.All rooms are fitted with a TV, a refrigerator, a wardrobe and bedside tables. Bed linen and towels are also provided. The bathrooms are equipped with hairdryers.At Pensiunea Agroturistica Cristal, meals can be served upon request and at a surcharge. There is also a winter garden and a garden terrace where guests can relax in the summer. Breakfast is also available every morning. Vila Ramona is located about 2 km from the Suceviţa Monastery and offers you a big garden with a gazebo including barbecue facilities, a billiard table and a fully equipped kitchen. The Voievod Ski Area is 5 km away.You can park your car free of charge on site at Vila Ramona. Situated in Cacica, Pensiunea Obcina Mare features a garden, terrace and free WiFi. All rooms boast a flat-screen TV with cable channels and a private bathroom. The accommodation features a 24-hour front desk.At the guest house, every room includes a balcony with a mountain view. Guest rooms feature a wardrobe.Gura Humorului is 11 km from Pensiunea Obcina Mare, while Suceava is 25 km from the property. The nearest airport is Suceava International Airport, 33 km from the accommodation. 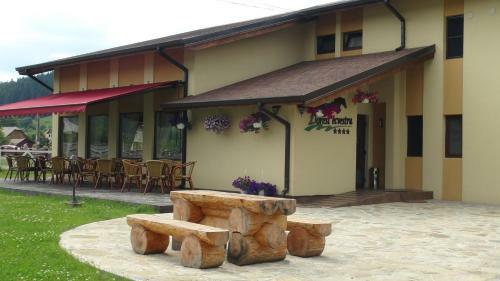 Popas Todiresti features free WiFi and views of lake in Suceava. Among the various facilities of this property are free bikes and a garden. Guests can have a cocktail at the bar.The units in the guest house are equipped with a kettle. All rooms are equipped with a flat-screen TV, and certain rooms have a terrace. At Popas Todiresti every room includes a private bathroom with a shower.The accommodation offers a children`s playground. A variety of popular activities are available in the area around Popas Todiresti, including cycling and fishing.Staff at the 24-hour front desk can provide tips on the area.Gura Humorului is 20 km from the guest house. The nearest airport is Suceava International Airport, 22 km from Popas Todiresti. 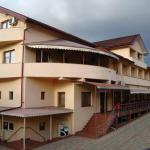 Featuring free WiFi, Hotel Martisorul offers accommodation in Cacica. Guests can enjoy a meal at the restaurant.Every room at this hotel is air conditioned and is equipped with a flat-screen TV with cable channels.You will find free shuttle service, hairdresser`s, and shops at the property. Free private parking is available on site.At Complex Agrement Cacica, located 2 km away, guests will find a salt water pool, a swimming pool and a children`s pool, all indoor, as well as a seasonal outdoor pool with water slides. Guests of Hotel Martisorul benefit from discounted access to the complex.The train station is just 300 metres away. 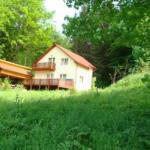 Gura Humorului is 16 km from Hotel Martisorul, while Suceava is 40 km from the property. Suceava International Airport is 45 km away. Located in Cacica, Pensiunea Narcisa offers accommodation with private terraces. Among the various facilities are a private beach area and barbecue facilities. The accommodation features karaoke and free WiFi.All guest rooms at the guest house are equipped with a seating area and a flat-screen TV with satellite channels. The rooms are fitted with a private bathroom with a shower, free toiletries and a hair dryer. The units have a desk.Skiing is among the activities that guests can enjoy near Pensiunea Narcisa.Gura Humorului is 10 km from the accommodation. 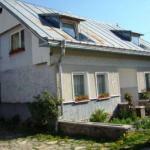 The nearest airport is Suceava International Airport, 35 km from the property. Surrounded by a picturesque forest, close to the well-known monasteries of Bucovina-Sucevita, the Hotel Sofia provides a quiet ambience and a comfortable stay for unforgettable moments. The rooms, which have been decorated by designers and have many surfaces and colours, will satisfy all your needs. You will be delighted by the swimming pool, the sauna, massages and many other facilities and services. If you are planning to organise a meeting, the well-equipped conference room which seats 80 people is at your disposal. The staff will readily serve you aromatic coffee, fine beverages and traditional Romanian food from this area. Enjoy the pleasant and relaxing atmosphere before getting a good night’s sleep in the warm and cosy rooms of the hotel. The Sofia Hotel can arrange a tour of the monasteries with a guide and, optionally, the hotel’s car. Excursions through the woods to the Sucevita Monastery, visits at the Marginea pottery working shop, driving the carriage or the slide – all this and much more can be experienced in this enchanting region. 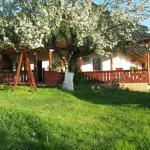 Tara de Sus is situated in Pîrteştii de Sus and features barbecue facilities and garden. The property has a terrace, as well as a shared lounge. The property offers mountain views, a children`s playground, and free WiFi is available.Guest rooms in the guest house are equipped with a seating area, a flat-screen TV with cable channels, a kitchen, a dining area and a private bathroom with free toiletries and a shower. Tara de Sus provides certain units with garden views, and each room is fitted with a coffee machine. The rooms will provide guests with a wardrobe and a kettle.You can play table tennis at the accommodation.Gura Humorului is 10 km from Tara de Sus, while Suceava is 25 km from the property. The nearest airport is Suceava International Airport, 33 km from the property. Set in Suceviţa in the Suceava county, 500 metres from Suceviţa Monastery, Casa Andreea features a barbecue and views of the mountain.The rooms have a flat-screen TV with cable channels. Some units include a seating area for your convenience. A terrace or balcony are featured in certain rooms.Free WiFi is provided. You can enjoy your meals in the wooden gazebo, surrounded by nature and admiring the fir tree forest.In 35 km, you can reach the Cacica Salt Mine. Suceava International Airport is 62 km from the property. Opened in December 2012, Casa Domneasca is on the edge of Cacica, and features an à-la-carte restaurant with traditional food from the region. Wi-Fi is in all property for free.Wellness area, which offers a sauna, a hot tub and massage treatments, can be accessed at a discounted price. Gym facilities, as well as table tennis and billiards equipment, can also be used at an additional cost.All rooms feature a TV and a minibar. Each unit has a private bathroom, fitted with a shower and provided with bathrobes and slippers. Most rooms also contain a balcony.Soimul Ski Slope is reachable in 17 km. Voroneţ Monastery is 22 km away. Cacica‎ Train Station and Salcea Airport are 2 and 50 km from Casa Domneasca. Private parking is possible on site for free. Only 200 metres away from the famous Sucevita Monastery, this recently built 3-star hotel provides a quiet ambience for a comfortable stay,Surrounded by a picturesque forest, the Ieremia Movila offers comfortable and spacious rooms and suites, a restaurant, a bar, a terrace, and a well-equipped conference room for up to 80 people.Hotel Ieremia Movila is close to several historic monasteries and churches, including the Painted Churches of Northern Moldavia, which are a UNESCO World Heritage Site. 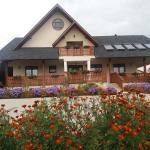 Pensiunea Daiana in Suceviţa features accommodation with a tennis court, barbecue facilities and a terrace. With a bar, the property also boasts on-site dining. Free WiFi is included throughout the property.At the guest house, rooms are fitted with a desk and a TV. Rooms have a private bathroom with a bath or shower, while selected rooms are fitted with mountain views. All units feature a wardrobe.A Continental breakfast is available each morning at the property.Suceviţa Monastery is 1.1 km from Pensiunea Daiana. Suceava International Airport is 50 km from the property.